A possible problem with this shield proposal was that it would block satellite signals from satellites which orbit above it. However, it appears that simply by punching a bunch of holes in the foil, we can eliminate this problem. Thus the foil would look like a swiss cheese or a checkerboard. This would allow the satellite signals to pass through with little attenuation. Obviously this will require a somewhat larger shield area to make up for the holes - but this is not a problem either. 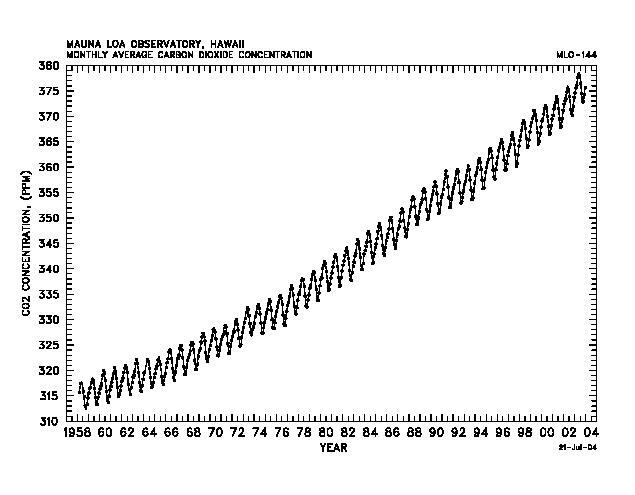 The CO2 concentration in the atmosphere has been increasing steadily for 50 years. Methane trapped in frozen tundra may be a ticking time bomb. (* new 3/22/06*) Aparently as much as 400 billion tons of methane may be trapped in the frozen tundra in the arctics. 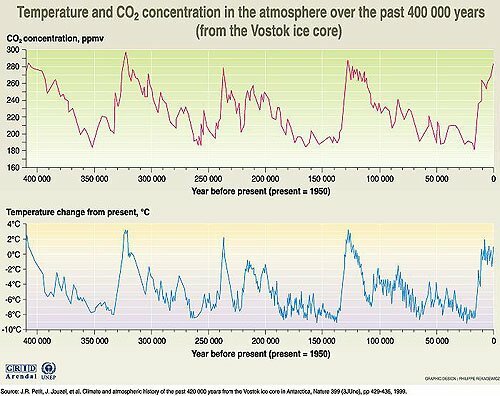 This is about 3000 times the current methane content of the atmosphere. Methane is more than 20 times as strong a greenhouse gas as carbon dioxide. 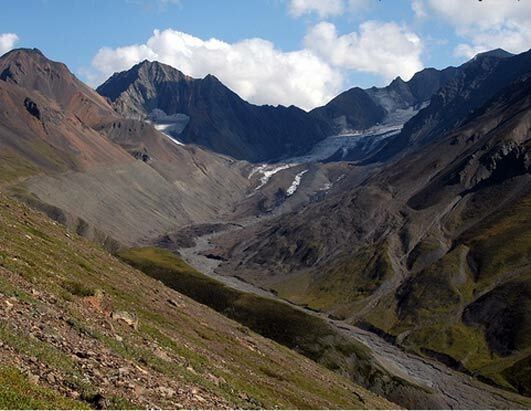 The warming and thawing of the tundra may start a chain reaction which could release billions of tons of methane into the atmosphere which would greatly exacerbate the global warming problem. 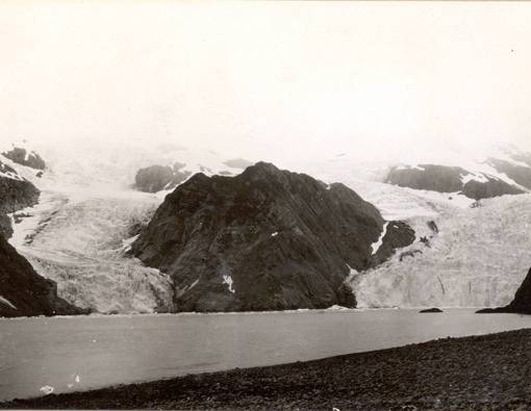 Temperatures have risen about 0.7 deg Celsius over the last century. Graphically you can see the trend starkly. Temperature hit 100 in London (August 10, 2003) for the first time in recorded history. Costal ocean temperatures are so high that sea corals are being killed globally. Up to 90% of corals are dead or dying in many areas. It is now too late to derail or delay the disaster. The increase in the temperature of the oceans is providing fuel for stronger and more frequent hurricances and typhoons - like last year when we saw a record number of hurricanes in the Caribbean. Japan also set a record for the number of typhoons to hit Japan. Sea level as measured at San Francisco, California, USA. 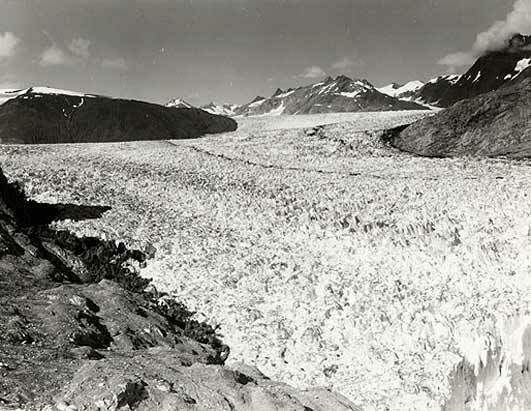 In Montana's Glacier National Park only 27 of the 150 glaciers which existed in 1910 remain today and they will be gone in only 20 years. 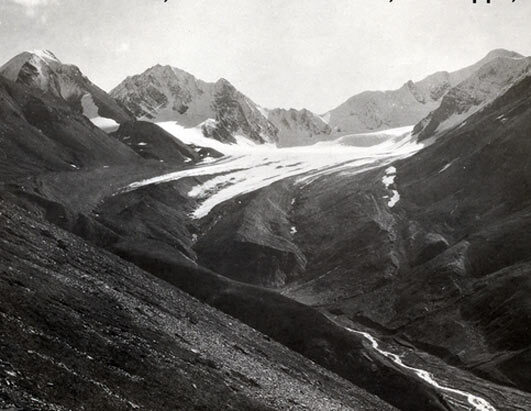 Glaciers are in retreat all over the world. Here is a spectacular site by Gary Braasch called " World View of Global Warming"
Over 90% of the ice shelf north of Ellesmere Island (Canada) is gone. Animal ranges are changing due to changes in the local climates. Walruses are starving in the Bering Sea because they are adrift on ice flows in water too deep to feed. In Canada, polar bears are starving because Hudson's Bay is ice-free too long each year so they cannot catch enough seals to survive. Pregnant females are losing so much weight that they fail to produce enough milk for their cubs, which then suffer increased mortality. Once females fail to attain a minimum weight they won�t give birth at all, and scientists can already document a 15 percent drop in birth rates. Also in Canada, river temperatures are so high now that salmon are being killed on their way to their spawning grounds - thus killing off the salmon FOREVER. Frogs are dying all over the world - not just a few frogs here and there but WHOLE SPECIES are dying off FAST. Plants are germinating earlier and earlier and moving farther and farther North. Nearly 4 million acres of mature white spruce forest on the Kenai Peninsula (in Alaska) have been killed by a growing population of spruce bark beetles (Dendroctonus rufipennis) since about 1987. Louisiana (USA) is losing land at a rate of about 25 square miles per year. per year (whereas sealevel is only rising by 8 inches per century). Worldwide there are increases in droughts and forest fires. 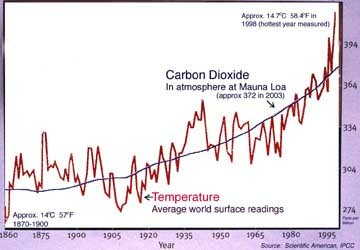 Nasa satellite data shows that Solar radiation reaching the Earth is 0.036 percent warmer than it was in 1986. Confirmed by a Swiss/German research team whose data shows that the sun is brighter now than 100 - 150 years ago. Average temperature has risen 3 degrees C (= 5.4 degrees F) in the last 30 years. 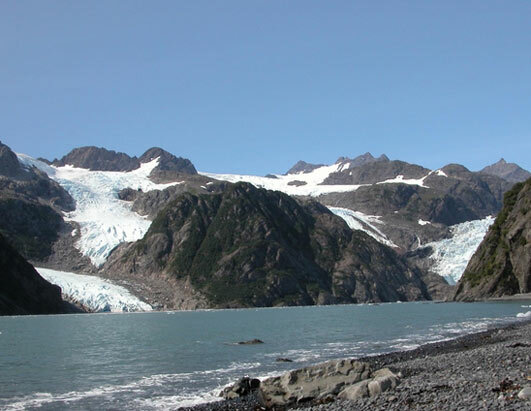 The sea level around Alaska has risen a foot in the last century. The permafrost is melting - which is causing buildings to sink into the mud. 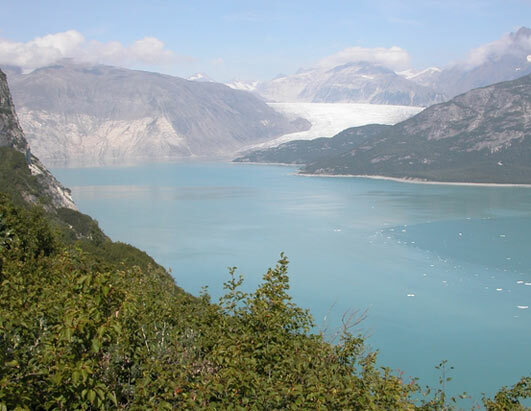 98% of glaciers & sea ice are melting. 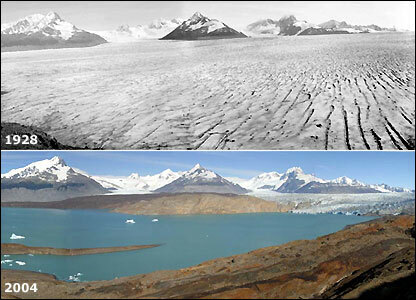 Polar ice has been decreasing by 1% per year since 1979. You can see that the "Northwest Passage" north of Canada was open for the first time in thousands of years. Rate of Ice Melt ing Shocks Warming Experts In September of 2007, the minimum polar ice extent was 4.13 million square kilometers (1.59 million square miles) on September 16 , compared to 5.32 million square kilometers (2.05 million square miles) at the minimum in 2005. This is a drop of 23% in just two years. 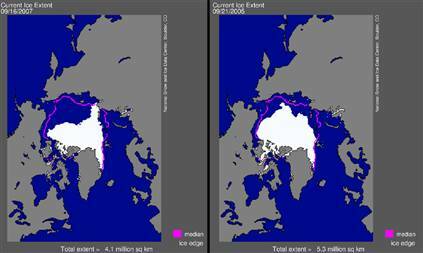 At this rate the Artic will be ice-free by 2020 - not 2050 as previously supposed.